27 cm tall (10.5 inches). Base 8 x 9 cm. 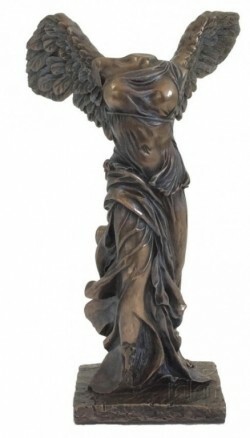 Cold cast bronze Goddess figurine. A Veronese design. Nicely boxed. A weighty and solid figurine.